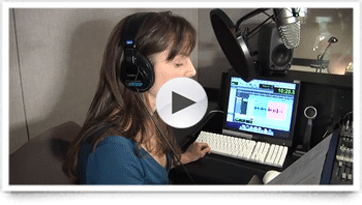 ACX can help you become more proficient at the recording process. We’ll also teach you how to polish your recordings through effective editing – which is as much an art form as a technical endeavor. It takes practice to become truly skilled at recording and editing, but doing a great job at both will make a significant difference in your finished product. Listen first! Take a few minutes to sit back, close your eyes and really listen to the performance. Get familiar with keyboard shortcuts.